This entry was posted on October 2, 2014 by joeleagle. 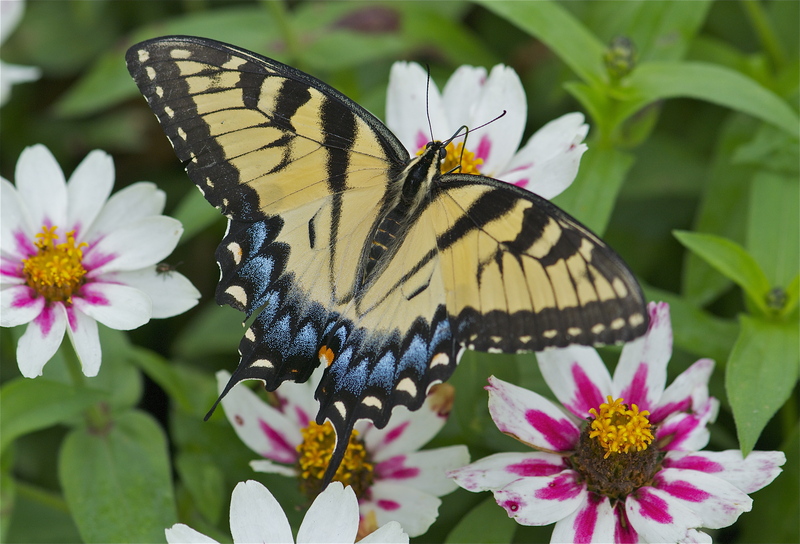 It was filed under Flowers, Insects and was tagged with Eastern Tiger Swallowtail, Papilio glaucus, Swallowtail Butterfly, zahara starlight rose, zinnia. Spectacular image–a perfect capture of a beautiful butterfly.